To enquire call 01483 278042 or contact us through the “contact” page. 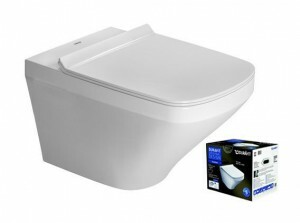 Duravit Durastyle Rimless Wall mounted Toilet and soft-close seat. 2551090000 Durastyle wall mounted 54cm rimless toilet & 0063790000 Soft Close Seat.